to the extremely mellow taste and its unique quality. Check out the reasons below. Yanghe Distillery locates in the Capital of Baijiu -- Suqian, a city adjoining three rivers, two lakes and one wetland, and known as one of the three world’s main wetland spirit-producing region. With the merit of a superior location, Yanghe fosters its unique style and quality. As a saying goes, water is the blood of Baijiu. Good Baijiu and excellent water come hand in hand. Therefore, Suqian's reputation owes much credit to the quality water in the Hongze Lake wetlands. The water here contains abundant mineral elements and supplies the energy for growth and proliferation of micro-organisms that are indispensable to making fabulous liquor. A pot of good Baijiu also needs fermentation in aged cellars. The local wetland soil is mainly flesh red, slightly acid clay with plentiful micro-organisms and microelements. The clay is ideal for the micro-organisms involved in the fermentation in aged cellars and thus becomes the natural source of nutrition for cellar mud. Undoubtedly, the blessings of climate are also very important. 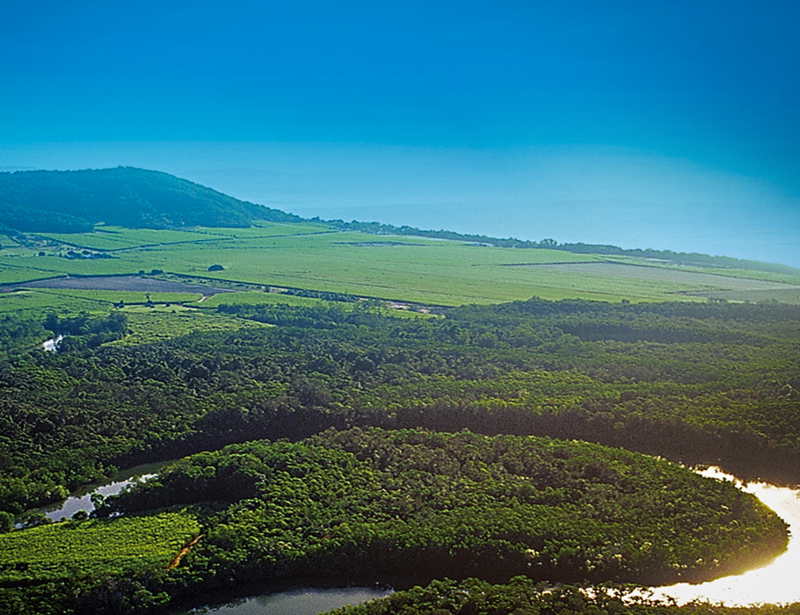 The Hongze Lake wetlands where Yanghe Distillery is located enjoy an annual average temperature of 15℃ and average humidity above 80%. A pleasant climate, temperature and humidity offer the optimum conditions for microbial growth and proliferation in yeast, and enrich the liquor-making microbes in the air, which is especially beneficial to mellow Baijiu making. Why is Yanghe baijiu so special? It is not only blessed by the great nature, but is also bestowed with time-honoured local history, culture and wisdom of "human and nature as a whole" on the wetlands. Without these, Yanghe could not be so impressive and enchanting. Enter through the gate of the Yanghe Distillery, tinged with old world charm, and just to your right you’ll see a solitary boxwood tree. 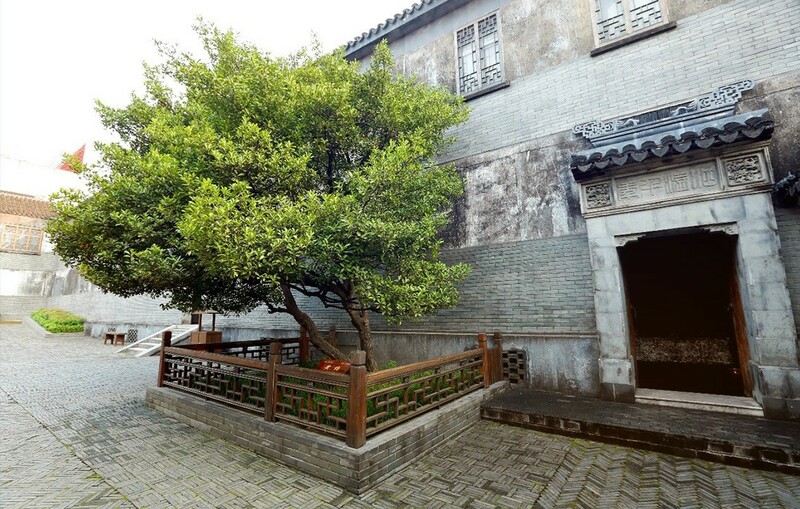 This 235-year-old boxwood guards a secret treasure buried here over 200 years ago, the centuries-old cellars of Yanghe. The door opens to a flight of stairs that descend nearly ten meters to an astonishingly large underground repository. Half-buried in the soil are rows and rows, stacks and stacks of earthenware. Amidst the earthy aroma of spirit, it feels as if we’ve stumbled into a drunken slumber, or rather as if the walls were quietly whispering. The stairs and columns are blanketed in thick layers of moss-like microbial life. It is these unique microbes that enrich the quality of Chinese spirit, and perhaps they are the true distillers. During the Guangxu Years of the Qing Dynasty, distilleries cropped up all around Yanghe village, with at least 27 that were clearly recorded. Distillers from provinces like Shanxi, Shandong and Henan would travel here to partake in competitions. At the site of the current Yanghe Distillery, there was once a distillery of the Ye clan. As the conditions were ideal and as it was the largest around, nine of its distillers, each with their own unique set of skills, sealed away their secrets to the subtle process of distillation. It was here that one of the first distillers buried his alcohol, and to mark the location, he planted a boxwood tree. It was only with the groundbreaking of the Yanghe Distillery in 1951 that the buried treasures were unearthed. Baijiu is of five different flavors: sour, sweet, bitter, spicy, and astringent. Without just the right amount of each, the quality of spirit will never be right and may even give off foul odors. Good baijiu is a full-bodied, mellow spirit with a sweet and pure long-lasting aftertaste and a harmony of flavors. process, various microbes multiply and die off at such rapid rates that even the most advanced computers would have trouble keeping track. Herein lies the mystique of baijiu. Sorghum, rice, wheat, barley and sticky rice and peas are mixed and steamed together. Such process gelatinizes the grains and breaks down their cellular walls, allowing interaction with the yeasts and other microorganisms in qu, a starter culture made from fermented grains. After steaming, the grain is carefully raked onto a flat surface to cool. After sprinkle pulverized qu on top of the cooled grains, the mixture is raked into a pile and shoveled into a subterranean pit. The pit is sealed, and the grains are left to ferment for at least 70 days. After fermentation, the grain mash is carefully loaded into a pot still for distillation. With our slow fire distillation techniques, the liquor emerged from the still is with a distinctive quality that will further results in our unique mellow taste. The heart of the emerged liquor is reserved and stored in the hundred years old terracotta jars. The aging period always lasts for at least 12 months. When the liquor reaches the proper level of maturation, our master blender will assess its character and flavor, and create a blend with our unique flavor and complexity. Just as gems unwrought can do nothing useful, Baijiu needs to be carefully blended to show its rich taste. The 30 national Baijiu master of us have been together ensured the high quality and built the unique Yanghe flavor. 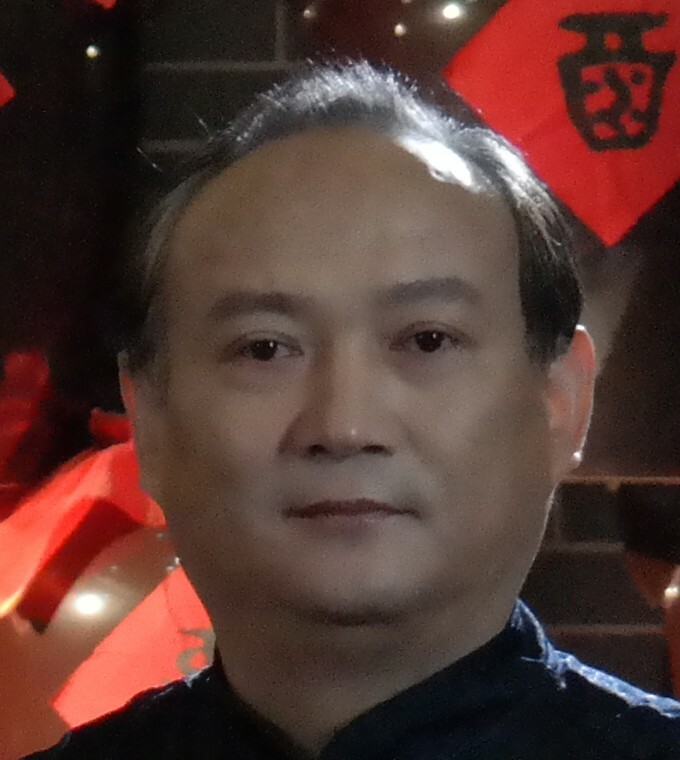 Born in August 1962, Xinhu Zhou is the Chief Engineer of Jiangsu Yanghe Distillery, council member of the Chinese Baijiu Association, and National Baijiu Judge. For decades, he has worked through the whole baijiu making process, from brewing to mixing to liquor tasting. He not only achieves a great performance at his own position, but has also trained a group of talents. Among his apprentices, 21 are now National Sommelier, accounting for about 10% of the total. In regards to new product development, Zhou conducted market segmentation based on locations and customer groups. He has successfully led the design of many products, including ”Yanghe Spirit Classics”, which is a National Famous Brand. Pointing at the small tasting cups in front of him, Zhou explains that the sommelier’s role lies in quality checking and control. The sommeliers’ evaluation decides the liquor's quality and grading. As Vice President and Chief Engineer of Yanghe Distillery, Zhou has worked at the distillery for more than 30 years. He started his career as a front-line liquor making worker, and is now a baijiu tasting master in China. To sum up his key to success, he uses one word: attitude. National Baijiu Judge of the China Alcoholic Drinks Association, National Sommelier - Level 1, and winner at the National Baijiu Sommelier Competition 2017. Fanggang Zhu has been specialized in baijiu-tasting for 8 years. 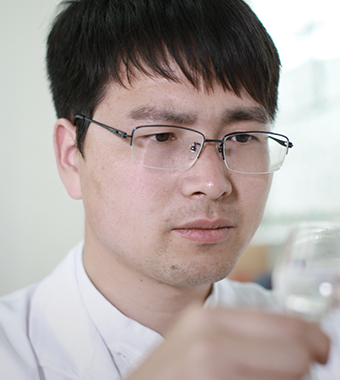 He began as an apprentice in the Shuanggou Liquor Body Design Center after graduation in 2009. He was appointed as National Baijiu Judge in 2015. From this sense, he can be regarded as the company’s “treasure”. In the initial stage, Zhu conducted at least 10 rounds of training every day and tasted almost a hundred types of liquors in order to master liquor tasting techniques. His training was so intensive that he even felt discomfort in his tongue. To protect the tongue and taste buds, he lives a regular life and maintains a bland diet, which means he has to deny himself hot, spicy Sichuan cuisine. “Baijiu tasting is marvelous. It is like listening to a song composed of many notes and lyrics. A good musician can pick up the details that others may do not get. Baijiu gives you different feelings, such as fragrance, sweetness, mellowness, softness. I am very curious to learn more. Others may miss out some delicate tastes, but I can get all those. This makes me feel very proud”, Zhu said. Zhu believes the techniques for Baijiu making are very complex and location-specific. They stress multi-strain open fermentation and the function of micro-organisms in the air, the soil and the surroundings. Baijiu is a masterpiece of nature and people, echoing the Chinese traditional concept of harmony among timing, place and people.